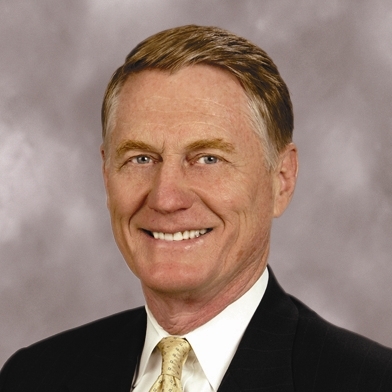 Bob serves as chairman of the board of directors of Elgin Energy LLC and its subsidiaries, as well as managing partner of Elgin Capital Partners LP. Prior to the founding of Elgin, he served Northstar Financial Services, an international life and annuity company, as Deputy Chairman and General Counsel. As counsel to the U.S. Senate Committee on Commerce, Bob assisted with the drafting of the natural gas deregulation bill known as the Pearson-Bentson Bill, which eventually became the Natural Gas Policy Act of 1978. He co-authored “Barriers to the Development and Expanded Use of Natural Gas Resources,” commissioned by the Interstate Oil and Gas Compact Commission, a group comprised of the 29 governors of oil and gas producing states. Bob and his wife, Nan, have four children and six grandchildren. He currently serves as a trustee of St. Peter’s Episcopal Church, Arlington, VA.